For generations the people of Merseyside have come to North East Wales. Merseyside children took refuge here during the war years and later families and youngsters came to escape the city and to enjoy the open air. Generations of school children came to Colomendy, the 'Lung of Liverpool', others came by bike or with the Scouts and Guides, on the Crosville buses, or with their tents and caravans. Some Merseysiders have returned to North Wales to work or in retirement and many Welsh people have moved to Liverpool to work or to study. 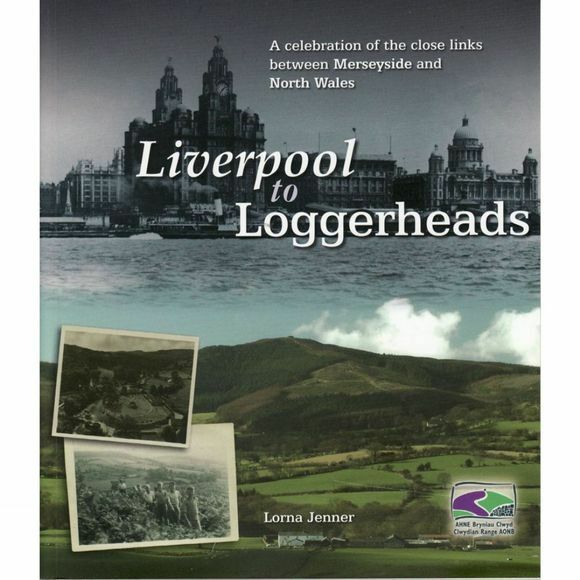 This book celebrates the strong link between Merseyside and the Loggerheads area and is based on the memories of countless Merseysiders and Welsh folk who have shared their fascinating, and often moving, stories. It is lavishly illustrated with a wonderful collection of old photographs. The book was produced in partnership with the Clwydian Range Area of Outstanding Natural Beauty, in recognition of the cultural links between the Clwydian Range and Merseyside.